Common Name: Gypsy Moth – The etymology of the common name is not well established, though it is likely applied to characterize the peripatetic behavior of the species. Gypsy is also a brown color that is approximates the color of the adult male and of the pupate forms. The name Gypsy is an abbreviation of the French word for Egyptian, though the Gypsies originally entered Europe from India in the 14th Century. Scientific Name: Lymantria dispar – The generic name is from the Greek word lymnater which means “destroyer” in reference to the destructive feeding habits of the larval stage of the moth. Dispar is Latin for dissimilar or unequal likely due to the zigzag markings on the wings of the adult insect. Also known as Porthetria dispar from the Greek porthein which means “to ravage” and etria, a feminizing suffix. Potpourri: The destructive and rapacious feeding behavior of gypsy moth larvae is reflected in the names chosen for its genera. Since its inadvertent introduction into North America in the mid-19th Century, it has defoliated millions of trees. Etienne Trouvelot was a French émigré who settled in Medford, Massachusetts in 1855. His primary avocation was sericulture, raising silkworms for the production of their namesake fabric, which he sought to promote with indigenous North American species. When this proved problematic, he traveled to France in search of alternatives, returning in 1869 with the eggs of the gypsy moth, which he inadvertently released into the local environment. He reportedly raised a hue and cry for their extermination to no avail; by 1886, the local area was infested. Sericulture having failed, Trouvelot turned to astronomy and gained some notoriety for his chromolithographs of celestial events, a portfolio published by Scribner and Sons in 1881 sold for $125.00. He returned to France in 1882 to study solar astronomy at the Meudon Observatory. The spread of the gypsy moth is characterized as a stratified dispersal. 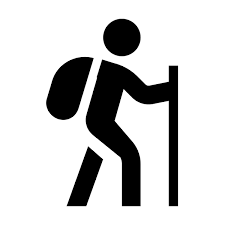 Long distance travel is effected by inadvertent anthropomorphic means such as camping and logging. Short distance travel is due to the movement of larvae, particularly of the first instar, dangling from silken threads to be transported up to a mile by the wind. Over time, the longer distance colonies coalesce with the inexorable larval advance. From its introduction near Boston, the gypsy moth spread throughout Massachusetts by the mid 1890’s. It is estimated that the rate of spread was 9.5 kilometers per year from 1900 to 1915, 2.8 kilometers per year from 1916 to 1965 and 20.9 kilometers per year from 1966 to 1989. The current range of the gypsy moth includes the entire Northeast and an arc that extends from the Southern Appalachians to the Ohio River Valley. An isolated population exists in Michigan and southern Ontario due to a separate introduction to that area in the 1960’s. The life cycle of the gypsy moth has the prototypical lepidopterous stages of egg, larva, pupa and adult. Overwintering in the egg stage in buff-colored masses of about 400 individuals, the larvae emerge from early spring to mid-May. The larvae grow by molting in a series of growth stages called instars; males have five, females six. They are rarely encountered, as they nocturnally feed on foliage in the top branches of trees, hiding from predators during the daylight hours. After the third instar, the larvae descend the tree to rest during the day. In mid-summer the larvae pupate, predominantly in chrysalides, the hardened integuments normally employed by butterflies for the metamorphic stage. It is ironic that their introduction to North America was predicated on their production of silk for cocoons, a practice they do not consistently follow. After one to two weeks, the adult gypsy moths emerge. The diurnal males (most adult moths are nocturnal) fly erratically in search of the flightless females, who emit a pheromone to facilitate the union in the absence of active locomotion. After mating, the sessile female lays her eggs and both adults die to complete the cycle. Attempts to control the spread of the gypsy moth include the employment of natural predators from their original habitat, viral and fungal diseases, and silviculture. Parasitoids that feed on gypsy moths have been introduced from Europe and Asia since the early 19th Century with results that remain unclear, though there is some belief that they have assisted in keeping the population density low. A disease caused by a nucleopolyhedrosis virus (NPV) is instigated by spreading a biological pesticide registered by the EPA in 1978 called “Gypchek” onto leaves that are consumed by the larvae; the infected insects rupture due to its effects on internal organs to further distribute the viral occlusion bodies. Silviculture forest management methods seek to reduce the spread rate of the gypsy moth; scientists generally agree that stopping it is not possible without massive applications of strong pesticides, an option neither environmentally nor economically sound. The U.S. Forest Service’s “Slow the Spread (STS)” Program seeks a 50 percent reduction by focusing on the transition zones at the edge of infestation. Suppression techniques include employment of the predators and pesticides above in addition to selective thinning of the gypsy moth’s preferred host trees, the white oak and the red oak.